Cuscuta Xtreme contains potent herbs formulated from an all-natural solution called Botanical Remedy For Weak Erection Restoration. 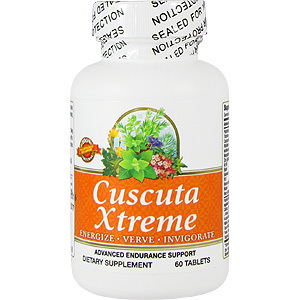 Herbal extracts from Cuscuta Xtreme are bioactively removed from Cuscuta Chinensis, Butea Superba, Pyrola Calliantha, Herba Cistanche, Panax Ginseng, Ren Shen, Sarsaparilla Jamaican, Curculigo Ochoides, Maca (Lepidium Meyenii), and Schisandra Chinensis. 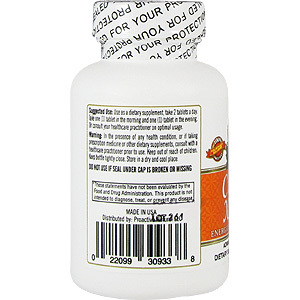 When blended together, these herbs provide the most optimal results for erection enhancement as well as improvement on capillary circulation of erectile tissues. Cuscuta Chinensis, Turnera Diffusa, Butea Superba, Ostrea Gigas, Pyrola Calliantha, Choline Bitartrate, L-Arginine AKG, Herba Cistanche, Glycyrrhizae Radix, L-Ornithine, GABA, Ren Shen, L-Glutamic acid, Lycium Fruit, Morinda Officinalis, N-Acetyl-Carnitine, Rehmannia Glutinosa, Panax Quinquefolius, Eurycoma Longifolia, Withania Somnifera, L-Taurine, Sarsaparilla Jamaican, L-Tyrosine, Curculigo Ochoides, Cornus Officinalis, DMAE, Cnidium Monnier, L-Lysine, Epimedium Grandiflorum, Mucuna Pruiens, N-Acetylcysteine, Tribulus Terrestis, L-Alanine, Chinese Angelica, Cynomorium Songaricum, Serenoa Repen, Schisandra Chinensis, Lepidium Meyenii. Jack Simmons "Feeling more staminitous"
My body endurance has increased two-folds after taking this. Required some time to work out the kinks but I'm starting to feel like I can handle much more in the day. It is very hard to believe otherwise but I'm starting to think that this is actually working. I'm a person that cannot handle the day without feeling like I need to have 3 shots of coffee. It has taken me some time to adjust to it but overall it works, after about 3 weeks of use I'm feeling the full effects. Took about 2 weeks to feel anything, I nearly gave up using it but I guess patience helped me out this time. I took this on the idea that I would have to use something natural to get some energy. I was skeptical because I never heard of this brand, but I decided to use it on the off chance that it might actually work for me. It does work. I take it twice a day, once in the morning for breakfast, and once at night during dinner. Probably wasn't the smartest idea to take it during dinner but I felt like it was the right decision as I felt my energy jump into the next day. It also helped me sleep like a baby too, so your not pumped into adrenaline. 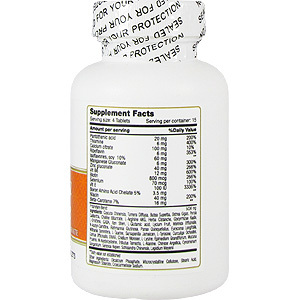 The supplement took sometime to work, about a few days, so naturally it won't push you over the edge. It gave my body some balance and that's what I needed. where can i start with this, oh yes it gives you energy. i gave this to my daughter, she's about 10. i don't give her the recommended dosage, actually i give about half a tablet a day. over the course of 3 weeks i saw that she steadily became more focused and reinvigorated. school grades also increased and even one of the teachers came up to me when picking her and up, asking me what did i do to spontaneously change her? i told her that i was giving her the needed supplements that she needed to take everyday, that's it. i didn't tell her that she wasn't taking this but i didn't lie to her. this was a needed supplement and i think it can work for anyone of any age. for me, i can actually wake up in the morning and take my daughter to school without feeling like a zombie. Cuscuta Xtreme - Advanced Endurance Support, 60 tabs is shipped in a discrete, unmarked package. Orders are processed immediately and usually takes about 3 to 5 working days to be received. We do ask that you try it for 2 to 3 weeks to feel the full effects. Any information received is used only for order processing and shipping purposes. Your information, such as e-mail address, will never be disclosed to a third party.